Donald Trump is expected today to announce Elaine Chao as his pick for transportation secretary, sources confirmed to ABC News. A formal announcement is expected this afternoon. 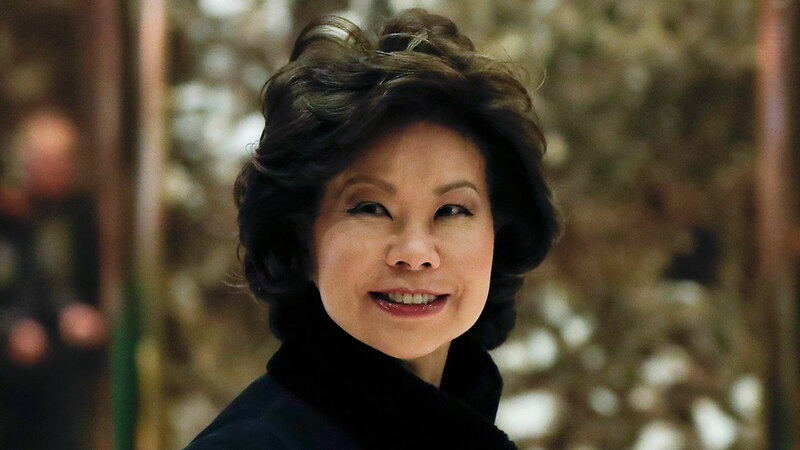 Chao formerly served as labor secretary under President George W. Bush and was the only cabinet official to serve through all eight years of Bush's presidency. She was the first Asian-American woman member of a U.S. president's Cabinet. Chao, who was born in Taiwan and immigrated to the United States as a child, met with Trump at Trump Tower last week. She is married to Senate Majority Leader Mitch McConnell. The position of transportation secretary requires confirmation by the U.S. Senate.